There are limits to what I’ll spend on an audio component, but every once in a while I come across one that makes me rethink those limits. The time I spent with one of PMC’s newest creations has left me wanting more than my current reference system provides. The Fact.8 ($9999 USD per pair) was created by the Professional Monitor Company (PMC), a firm based in Luton, England, as part of an entirely new range of consumer hi-fi products designed to attain a worthy goal: the ultimate in luxury and sound reproduction in the home. The Fact.8’s exterior is made to resemble a piece of modernist art, with a long, slim profile that would look right at home in a modern living room. Its monolithic design reminded me of Stonehenge, though the speaker is actually more physically appealing. Each Fact.8 weighs 44 pounds and stands 40.55”H x 6.1”W x 15.86”D. While not small, the Fact.8 is not so big that a pair of them wouldn’t fit nicely into a midsize room. 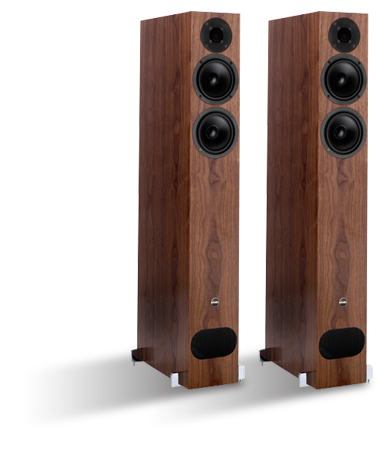 The speaker is available in a choice of attractive finishes: Light Oak, Rich Walnut, Tiger Ebony, and (my review samples) a beautiful Graphite Poplar. In this speaker, PMC includes some new features that are unique to the Fact range. The tweeter is a ring-radiator design with a distinctive dome in two sections. The center of the tweeter is a 19mm (0.75”) dome, encircled by a 34mm (1.3”) outer ring. 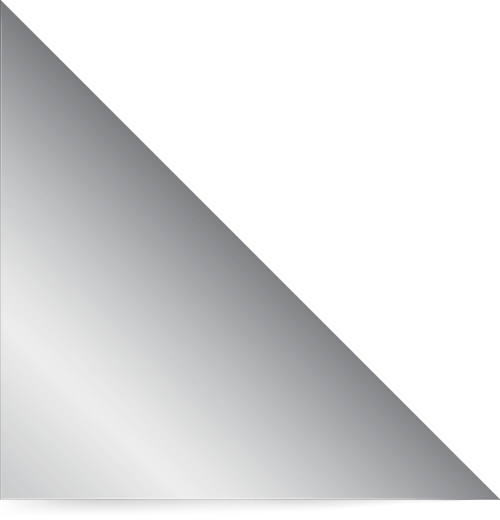 The design is said to combine the wide dispersion of a 0.75” dome with the lower-end response and higher sensitivity of a 1” dome, and to make possible a lower-than-average crossover point of 1.7kHz. This should make for a more seamless handoff from tweeter to midrange-bass drivers. The tweeter is cooled by ferrofluid and is made of Sonomex, an especially light and uniform pre-coated material. There are no variations in the thickness of the coating, which makes possible even better frequency response. Covering the entire tweeter is a perforated dispersion grille that helps increase the top-end response, and aids in creating a larger sweet spot. PMC has coated the grille and tweeter surround with rubber to ensure their inertness. The Fact.8’s two hand-built, 5.5” bass drivers have been formulated with a new feather-light, stiff-matte doping process and a braking system that subtly controls their maximum excursion. PMC explains the latter as a mechanical brake that acts like “soft clipping” to avoid destructive bottoming of the driver. 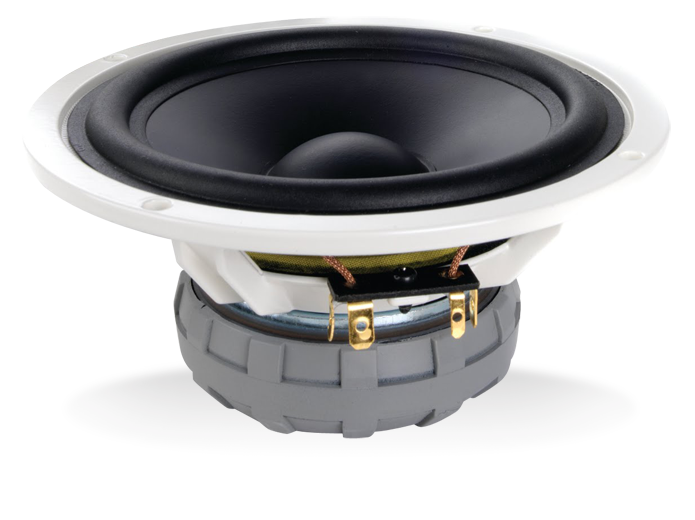 PMC is known for its use of transmission lines to achieve exceptionally low bass from its speakers. The Fact.8 implements a new feature into their Advanced Transmission Line (ATL) design. The transmission line in the Fact.8 is a lengthy 9.8’. Positioned at the end of the line is a chamber that has been specifically damped to absorb unwanted upper-bass harmonics, which can interfere with the clarity of the midrange and bass. 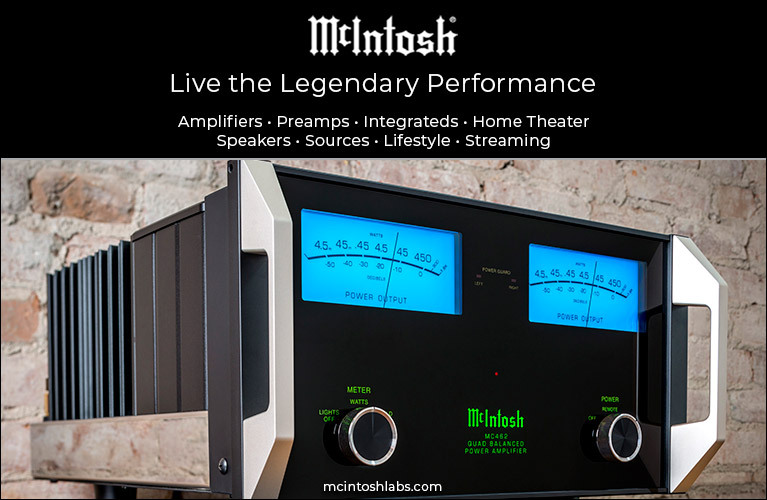 It’s often a challenge to choose a speaker that meshes well with your equipment and/or listening room -- trying to integrate a new component into an existing system can be a nightmare. We all know the story: You find a speaker that sounds great, that has all the characteristics you’re looking for, and you buy it. You drive home excited, set it up in your system, but soon you realize that this speaker just isn’t doing it for you. It doesn’t have the character it had at the dealer’s. 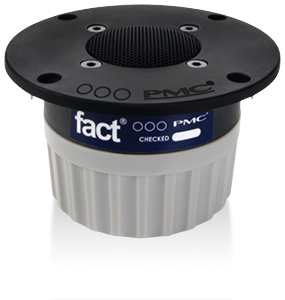 PMC’s Fact range addresses the issues brought about by the different sonic signatures of electronic components, cables, and, most important, room acoustics. On the anodized rear panel of each Fact speaker are a set of sealed, gold-contact switches that permit precise tailoring of its low- and high-frequency responses to suit the listener’s taste. From the calibrated Flat setting, the range of adjustment for the highs is +2dB to -2dB at 15kHz (with the knee at 5kHz), and for the lows, -3dB to -6dB at 80Hz (with the knee at 300Hz). I was a bit skeptical of this feature, but after experimenting with it, I was won over. I heard subtle changes in the sound; the Fact.8s let me tailor their output to best suit my room and equipment with the flick of a switch. All Fact models feature sophisticated crossovers that incorporate steep 24dB/octave, 14-element filters built on military-grade, glass-fiber boards cut in the signature Fact lozenge shape, on which ultrathick tracks of pure copper are aligned to optimize the unrestricted delivery of current. 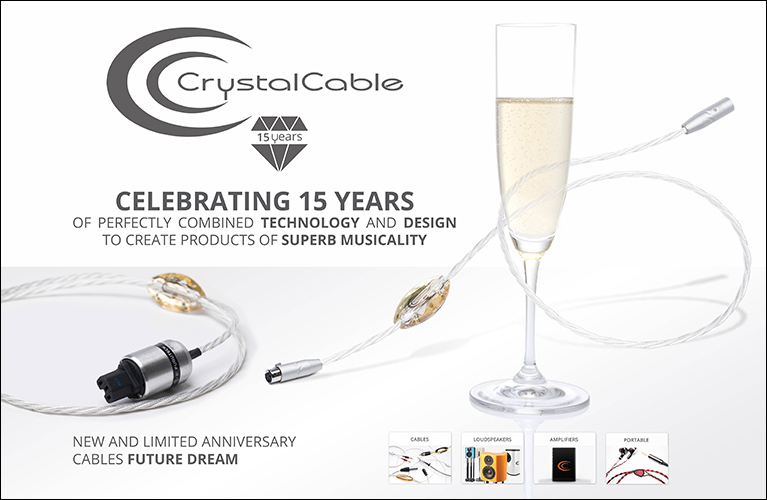 PMC uses only hand-selected components that have passed what they say are extensive comparative listening tests. Careful consideration of hardware placement is reportedly taken into account to ensure that there is no electromagnetic interaction that might impair signal transmission. According to PMC, “This type of crossover guarantees supreme power handling and ultra-low distortion, both of which play a major role in the exceptional natural clarity and wide, three-dimensional soundstage to be enjoyed across a massive listening area.” Feeding these sophisticated crossovers are binding posts coated in pure silver, which is said to help ensure signal purity. PMC claims that the Fact.8 can produce 28Hz-30kHz, +/-3dB, which puts this two-way floorstander almost in the category of full-range speakers. On a sunny spring day in England, Keith Tonge, PMC’s marketing manager, stopped by with a pair of Fact.8s, which he helped me set up to achieve their optimal sound in my living room. It took only about ten minutes. Tonge settled on positions 5.5’ apart, and about 7’ from my listening position. The review samples were already fully broken in, so I didn’t have to wait long before doing some critical listening. About 30 seconds into the first track, I knew I was in the presence of a very special speaker. The first thing that caught my attention was the Fact.8s’ transparency: I could hear deeply into recordings. Nor did the PMCs hide faults in the source material -- if a recording sounded bright or shrill, they truthfully re-created that sound. Reviewers look for this level of transparency in a reference speaker; it tells them what’s going on in their systems, so that when a new component enters the chain, they can quickly hear its contribution to the sound. I could tell that the Fact.8’s level of distortion was very low; I found myself listening to them at much louder levels than I usually do. Another benefit was that my ears were never plagued with listening fatigue. One of my favorite Johnny Cash covers is of Depeche Mode’s “Personal Jesus,” from his American IV: The Man Comes Around (CD, Lost Highway 063339). Cash’s acoustic guitar opens this track, and it came through the Fact.8s with striking clarity: I could clearly hear the leading edges of the strings being strummed. Notes came across clearly and naturally, and timbres were spot on -- it sounded as if an acoustic guitar were being played in my room, and the instrument’s inherent warmth was very evident. The strummed strings faded away naturally; I reveled in their long decay. When Cash’s weathered yet still beautiful voice entered, it was presented up front and center. His voice is prominent in this mix, and the Fact.8s presented it in its correct position: dead center. Some speakers put Cash’s voice deep in the mix, others throw it more in your face. The Fact.8s presented it where I believe mix engineer David Ferguson intended it to be: right in the middle of the stage. The PMCs were also capable of producing solid, three-dimensional images on a soundstage that was wide and tall, with good depth. Cash and his guitar are the focus in this mix, but the PMCs didn’t gloss over the backing instruments. The Fact.8s had good separation: The piano is subtle here, but was still highly resolved, in its own space to the left of the soundstage. Focusing on it, I could hear its clear, crisp notes subtly complementing Cash’s very prominent acoustic guitar, even as, to the right, it is complemented by another acoustic guitar. Nothing on this soundstage was lost. Microlevel detail was clearly audible even when I listened to music at low volumes -- these speakers were very detailed but not analytical, walking the fine line of neutrality. It was hard to categorize the sound of the Fact.8s; when the recording was warm, they sounded warm; if the recording was bright, they sounded bright; and so on. A big part of PMC’s design model is based on the use of transmission lines. In the case of the Fact.8, this has created wonderfully deep, tight bass. When I listened to “Hell’s Bells,” from AC/DC’s Back in Black (CD, Sony 80207), the PMC re-created the bass notes with great precision. The kick drum had solid weight, and sounded fast and quick -- there was a snap to the midbass, which had good impact. In my experience, it’s rare to hear deep-bass notes like this through a two-way speaker. My recent experience with transmission-line speakers, however, has shown me that very deep bass is possible from relatively small drivers, and this was definitely the case with the Fact.8. Bass was not boomy or bloated, but simply sounded highly resolved and articulate. Bass transparency is difficult to find in a speaker; the Fact.8 was more than capable in this department. The Fact.8’s highs were simply excellent -- Duffy’s Rockferry (CD, Island/Mercury 001082202) sounded great. In “Mercy,” the highs were clear and extended, not rolled off at all, yet never sounded bright or fatiguing. The Fact.8 perfectly captured the bluesy feel of Duffy’s voice on this track, preserving its deeply seductive tonality. In fact, the tweeter in this speaker was capable of resolving the most minute detail. For instance, the tambourine in “Rockferry” was recorded with great definition, and the Fact.8 reproduced all of it. The shimmer sounded extended and defined -- as realistic as I’ve heard it through a pair of speakers. And had I wanted highs a touch crisper or more extended, I could have had them with a flick of a rear-panel switch. The ability to increase and decrease the high and low frequencies was a welcome feature that helped me tailor the Fact.8’s sound to my taste. 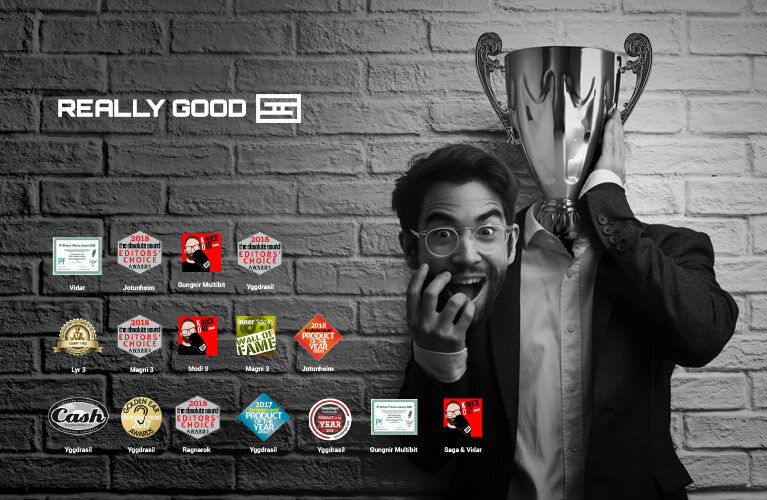 Fair warning: If you have a tendency to tweak, this feature might exacerbate your OCD. The Fact.8 had many qualities that reminded me of B&W’s 803D, a pair of which I had for a while. Both speakers were capable of exceptional transparency, especially in the midrange. The B&W, however, leaned toward the warmer side of neutral, and favored more fullness in the midrange than the PMC. The Fact.8 wasn’t absolutely neutral, but came closer to that quality than did the 803D. The PMC’s soft-dome tweeter sounded very similar to the B&W’s diamond tweeter: both produced high frequencies that were exceptionally airy and sweet, and both were capable of extended highs that seemed to go on forever. The Fact.8 had the added benefit of a wider sweet spot than the 803D, however. Its unique tweeter design seemed to allow the speaker to disperse a wider soundfield into my living room than I’m used to hearing. In the low end, the two speakers were very similar: both had deep, articulate bass. The B&W had a slight edge in bass depth, but I believe this was due to the fact that it has three bass drivers. The PMC’s bass wasn’t far behind, but the B&W had more muscle dedicated to the production of deeper, more powerful bass. Still, the PMC’s combination of two smaller drivers and its Advanced Transmission Line produced rock-solid bass that I never thought would be possible from a two-way design. The Fact.8 is one of the best speakers I have heard. PMC reveals its pro-audio heritage in this model, but where pro monitors can be ruthlessly revealing, the Fact.8 possessed finesse and delicacy that most studio monitors I’ve heard do not. The Fact.8 is well engineered, and all the technologies PMC has used in it have resulted in an utterly pure sound that is capable of truly grabbing the listener. It drew me in with smooth and extended highs, a transparent and natural-sounding midrange, and deep, expressive bass. At $9999/pair, this speaker is not what I would consider “affordable,” but it produced sound that was, in my estimation, priceless. And that’s a fact I can live with. Price: $9999 USD per pair.